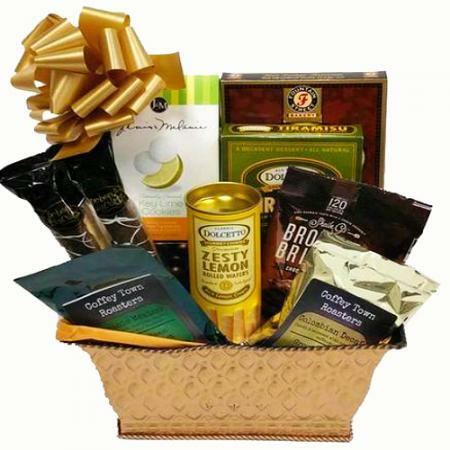 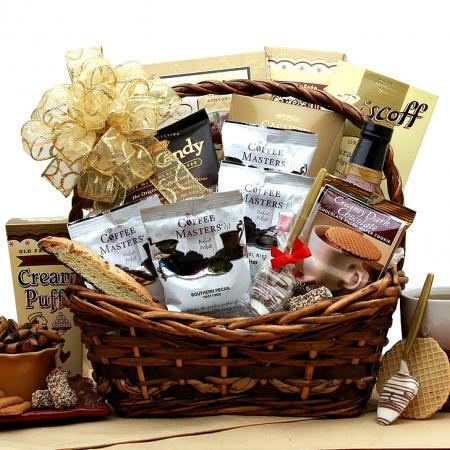 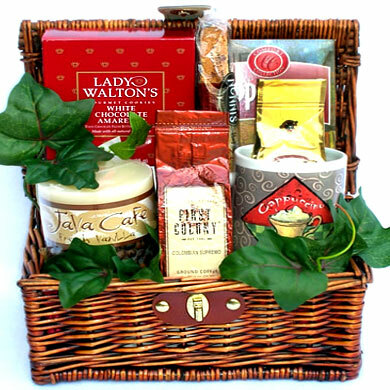 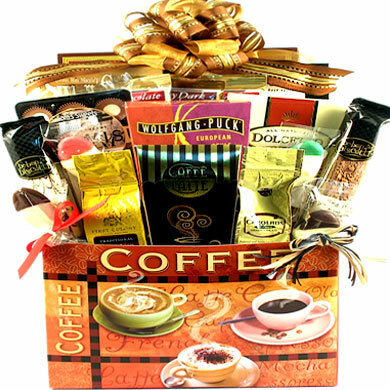 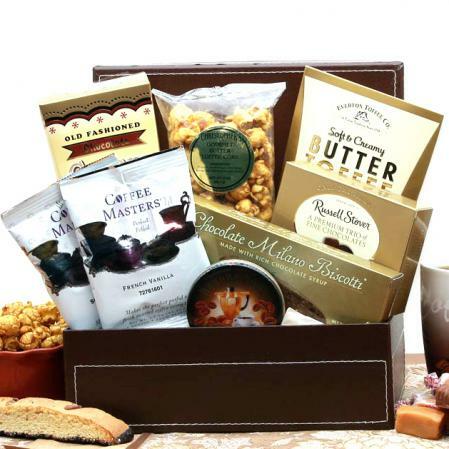 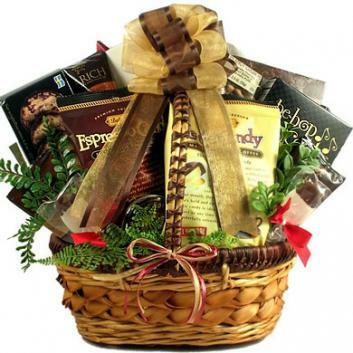 Our deluxe coffee lover's gift basket overflowing with fancy coffee, tea, cocoa and gourmet sweets. A great gift for family, clients or employees. 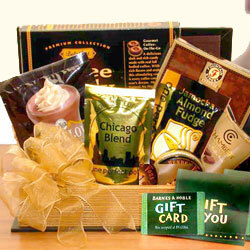 Our charming coffee themed gift basket is the perfect gift for coffee lover's on your gift list. 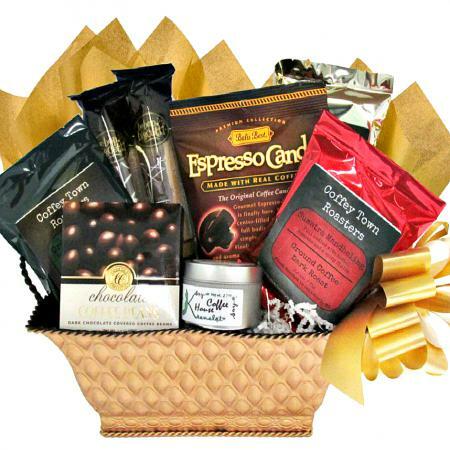 It arrives piled high with fancy coffee, tea, cocoa and gourmet sweets. 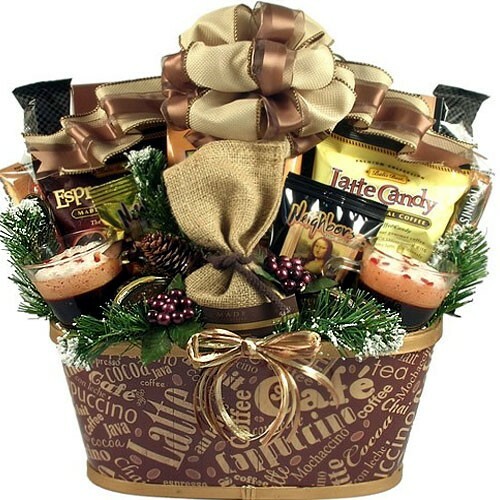 View more great coffee gift baskets.